Pamela Z combines a wide range of vocal techniques with electronic processing, samples, gesture activated MIDI controllers, and video. “Pamela Z is a pioneer in solo vocal performance with electronics,” stated Chris Dobrian, Professor in the department of music. “She's a thoughtful and interesting composer and an engaging, theatrical performer. She uses digital technology in her work in innovative ways, so people naturally are interested in that aspect of her performance, and at the same time she makes attractive and thought-provoking music." Pamela Z has toured extensively throughout the US, Europe, and Japan. Her work has been presented at venues and exhibitions including Bang on a Can (NY), the Japan Interlink Festival, Other Minds (SF), the Venice Biennale, and the Dakar Biennale. She's created installations and has composed scores for dance, film, and chamber ensembles. 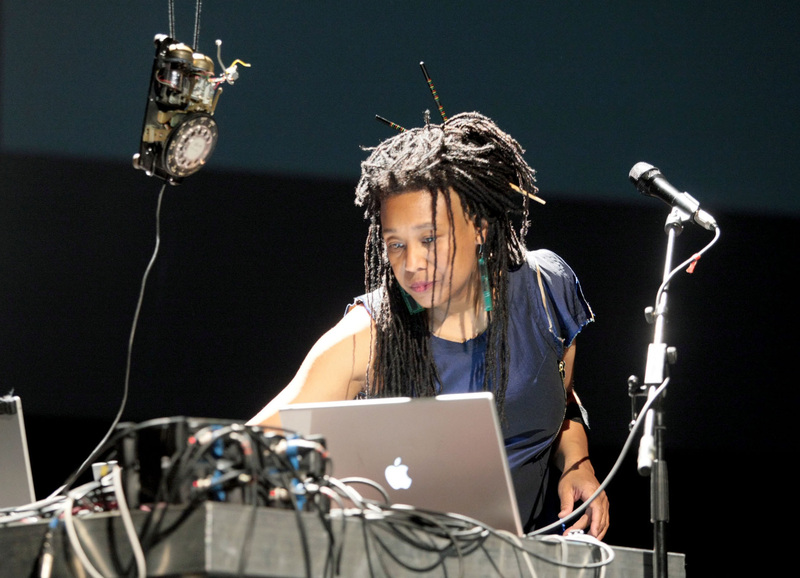 Her awards include a Guggenheim Fellowship, the Doris Duke Artist Impact Award, Creative Capital, the Herb Alpert Award, MAP, the ASCAP Award, an Ars Electronica honorable mention, the NEA/Japan-US Fellowship, and a Djerrassi Resident Artist Program residency. The Gassmann Electronic Music Series was founded by Prof. Dobrian when he first arrived at UCI. Dobrian said, “as director of the computer music laboratories, I've thought it essential to be always bringing in ideas from outside the department: scholars, researchers, composers, and performers.” The annual series is made up of concerts and lectures focused on computers and music, and invited researchers and musicians from around the world. It is a component of the Integrated Composition, Improvisation, and Technology (ICIT) graduate program. The program emphasizes research and experimentation as a generative basis for one's creative work, with the objective of making new musical discoveries. Graduate students have the opportunity to learn not only from their professors but also from a constant circulation of other fascinating thinkers invited via the series. In addition to the live concert, Pamela Z will offer a lecture presentation "Live Performance, Alternative Instruments" on Thursday, October 20 at 2 p.m. in the Music Collaboration Laboratory, AITRC 190. 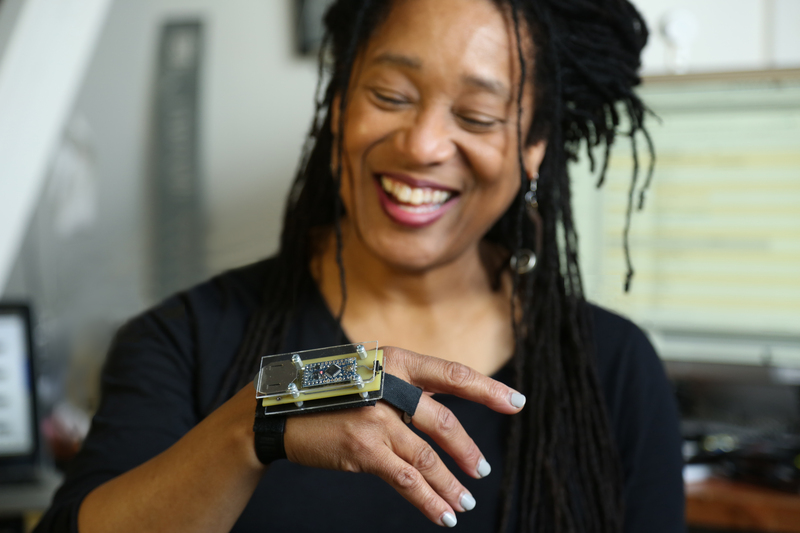 She will also present a Saturday Academy workshop hosted by the Trevor School’s Arts Outreach on Saturday, October 22 from 10 a.m. to 1 p.m. where students ages 14-19 will receive hands-on instruction in how to make and play music using gestures with wireless devices.